Mary combines knowledge of both Chinese and Japanese acupuncture techniques having graduated from the College of Traditional Acupuncture and the College of Integrated Chinese Medicine. 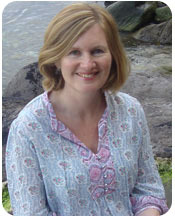 She is a registered member of the British Acupuncture Council, the main regulatory body for UK practitioners. The Zita West Network is a network of acupuncturists affiliated with the largest integrated reproductive health clinic in the UK. She also belongs to the Herts Acupuncture Childbirth Team – specialists in pregnancy, obstetric and fertility care. Her practice is located near Watford, close to Bushey station. Rail access from London Euston takes just 20 mins. Contact Mary by phone or email to book an appointment.